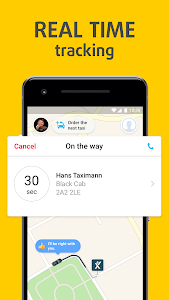 Book a licensed, professional mytaxi driver in 9 European countries. Order easily, pay in-app and complete your trip quickly and safely. 1. Easy booking: Order the next licensed taxi near you. 2. Track your driver's arrival. 3. Pay your fare conveniently through the app. SAVE TIME. PAY BY APP. - Travel with or without cash. - Set up your favourite in-app payment method, using one or several Credit/Debit Cards or your Paypal account. - Advanced booking: Relax and order a cab up to four days in advance. - Enter start and destination for time estimates. - Automatically collect your receipt by email after each trip paid through the app. 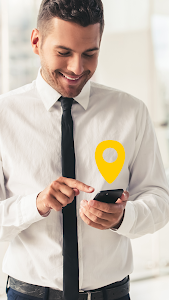 - Skip manual expense reportings after business trips – contact your company's travel manager about using a mytaxi|Business Account now. - GET TO THE AIRPORT: Book a mytaxi last minute or up to four days before your flight. 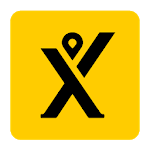 - AIRPORT PICKUP: Collect your luggage, hail your taxi with the app and follow the in-app walking directions to the mytaxi pickup point within your Terminal. - mytaxi is available for both business and holiday travel at Europe's largest airports, including: London Heathrow (+ City, Gatwick, Stansted), Dublin, Frankfurt, Madrid-Barajas, Barcelona El-Prat, Munich, Rome Fiumicino, Manchester, Lisbon, Stockholm, Düsseldorf, Vienna Schwechat, Milano Malpensa, Berlin Tegel and Malaga. BOOK THE RIGHT TAXI FOR YOU. - Request more seating by choosing TAXI XL. - Order a wheelchair-friendly vehicle. RIDE WITH EUROPE'S BEST TAXI DRIVERS. 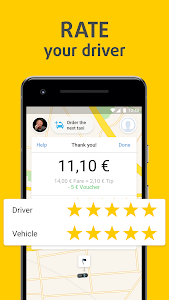 - Rate your driver after each trip and save your favourites. - Depend on Europe's largest taxi driver fleet: 100,000 licensed and professional mytaxi drivers are supported by our local taxi service teams to ensure the best service for you. 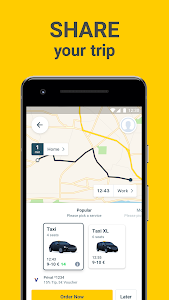 mytaxi and Hailo joined forces in 2016 to keep you moving as mytaxi, UK's and Ireland's leading taxi and black cab app. STAY IN TOUCH FOR UPDATES AND LOCAL PROMOTIONS. 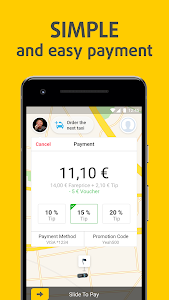 - Don’t miss upcoming mytaxi promotions, discounts and new app features – subscribe to our newslettter and follow us on Facebook, Instagram and Twitter. - Share your current location with your friends and family. - Rate your driver and save your favourite for future bookings. - Invite friends and family to try out mytaxi with your personal gift code which you can find in the app to share as you please. Thank you for leaving us a favourable app review here! 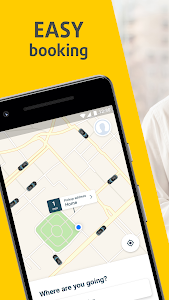 mytaxi has joined a new brand familly and will rebrand to FREE NOW later this year. Similar to "mytaxi. Europe's #1 Taxi App"